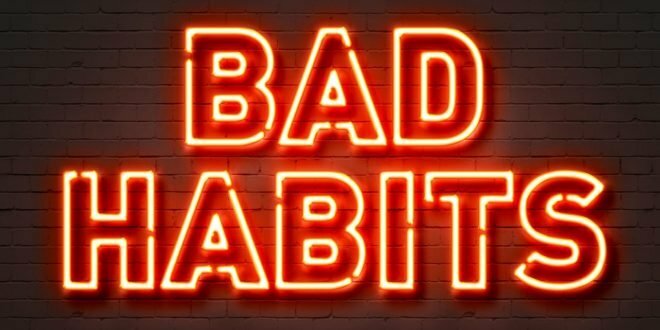 Home / Blog / Bad habits that are actually good for you! When we were young, our parents used to mark certain behaviors as very bad and that we are forbidden to do any of those acts. Most of us still have a few habits that are considered bad and not only behavior wise but also health wise. We have gathered a few of the most common bad habits that are good for you. This is one of the most common thing we hear from our parent and from the people around us. They say that it causes many problems including acne, cardiac problems, creates sleeping issues etc. Coffee isn’t bad for you, in fact, it has a lot of health benefits to offer. It contains antioxidants that is very good for us. Chemicals in your caffeinated brews may help fight lethal diseases like liver cancer and play an important role in improving your memory. Sleeping more is considered a sign of laziness. People think that if a person sleeps more than 8 hours then it’s very lazy and not healthy. The fact is that people usually sleep less than their need during the weeks days as most of us go to work and even those who don’t, like our females especially housewives have to get up early as well to meet the schedule, so if you sleep some extra hours on weekends, it is actually good for you. Besides this, many psychologists have claimed that people who sleep more are intelligent and creative. Well, what could possibly be anything good in nail biting, right! One good thing that comes out of it is that through nail biting, you make your immune system stronger as when you bite your nails, you intake germs and your immune system then immediately starts to protect the body from anything bad. It is not considered as the bad type of habit but a person who is constantly chewing gum can sometimes be very irritating. Psychologists have conducted a study in which the two groups were tested. One group was chewing gum and the other wasn’t. The group who were chewing gum actually gained more score than the other group showing that chewing gum can help you focus on your task very much. We all try to keep our place clean and tidy. Some people are obsessed cleaners as they can’t even stand a single thing out of order. Then there are people who can’t help it and there room is always messy. Psychologists say that people who are messy are very creative. The mess around you can actually make you think out of the box and can find various creative solutions to their problems. One thing that chocolate lovers hear a lot is that you may get acne problems etc. Make chocolate a part of your routine diet as it has a lot of benefits. Flavonoids is present in dark chocolate which helps prevent from various diseases and health issues including cancer. It makes you more focus and also help in reducing calories. So, don’t try to undo this habit of yours. Showering is always healthy. Skipping shower once or twice helps your skin regain the natural oil which is very essential for your body and helps you look younger. Shampooing on the other hand is not good to do everyday. Skip at least 3 days before you shampoo again. Shampoo contains harmful chemicals which damages your hair and steals away all the natural oil that your scalp releases. It may cause grey hair, dandruff, hairfall and other problems. We all are directed to control our temper always and try dealing with it in a better way than shouting on others. Well, psychologists say that it is good for you to let all the anger out as keeping the anger inside you will only result in a bad way. Try meditation or other ways to crawl out of your anger issues. Many people resist from eating junk food as it is not good for one’s health. When a person is on diet and craves to eat junk food, then it should just go and have a snack once in a while. Research says that people who constantly resist from junk food and yet crave for it, slows down the process of losing weight as resisting too much results in slow metabolism. Eating junk food can help you boost up your metabolism. For all the game lovers who are told that playing video games is not good for anyone’s health as a person stays on the couch sitting and eating in front of a large screen that may result in weak eye sight. Psychologists have claimed that people who play video games are good in making immediate decisions and forming strategies needed in real life. Everything has its pros and cons but make sure that you create a balance between them for a healthy and successful lifestyle.